Australians tend to accept government surveillance, particularly if they think it necessary or trust the government, according to a recent study. But they’re only lukewarm about it. So if such surveillance continues to increase, people might reach a turning point and adopt some basic measures to “hide” themselves. Australians are subject to ever-increasing levels of government surveillance. It is generally justified as necessary to protect us from criminal or terrorist activities. Under certain circumstances, various intelligence agencies, as well as federal and state police, can request access to your telephone and Internet records. This can reveal information about your location and who you have talked to, emailed or messaged. Proposed legislation would allow the Department of Home Affairs to share photographs and other identifying information “between government agencies and, in some cases, private organisations”. Not only can this information be shared for reasons of national security, it can also be used for general law enforcement, and even road safety. 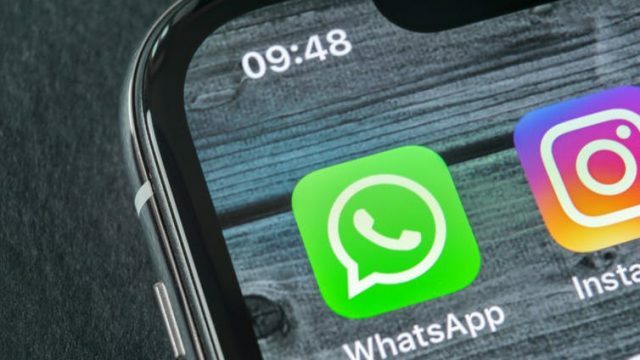 The government recently passed the Telecommunications and Other Legislation Amendment (Assistance and Access) Act 2018, which allows government agencies greater access to encrypted messages, like those sent over WhatsApp. Technology companies and civil society groups say they are concerned and can’t believe these increased powers. But what about the public? Although Australians have generally accepted the collection of telecommunications metadata or driver licence photos, little is known about the factors that influence their acceptance of government surveillance. Our research aimed to address this by surveying 100 Australian residents about their views on government surveillance. Just more than half (52) said they accept government surveillance. The overall strength of acceptance tells a similar story. On a scale from 1 (strongly reject) to 5 (strongly accept) the average response was 3.1. This shows respondents are on the fence, but leaning slightly towards acceptance. The most influential factor was if they thought the surveillance necessary. This has practical implications as lawmakers capitalise on people’s emotional responses to tragic events to justify new legislation, particularly around the time these events occur. For instance, in the six years after 9/11, the Howard government pushed through a new anti-terror statute every 6.7 weeks on average. The need for the powers in this bill has become more urgent in the light of the recent fatal terrorist attack in Melbourne and the subsequent disruption of alleged planning for a mass casualty attack by three individuals last month—also, sadly, in Melbourne. Individuals in both of these cases are known to have used encrypted communications. 2. Do I trust the government? People’s overall trust in the government also strongly determined their acceptance of surveillance. This is interesting given trust in the Australian government is generally relatively low. People might be more influenced by their general view of the government than their views of specific policies and practices. If so, events that diminish that trust may also threaten the acceptance of surveillance policies. This is something for politicians to consider before calling for the next leadership spill. As expected, the research also showed that on average, people didn’t particularly trust the government to manage data. The large number of people choosing to opt out of My Health Record tells us people are concerned about how their information is managed. Yet, surprisingly, there was no link between people’s level of trust in the way the government manages data and their acceptance of surveillance. Perhaps people feel they have nothing to hide, or believe the broader benefits of surveillance outweigh the risks. Given the vast amounts of information gathered through surveillance, it might seem reasonable to assume that individuals will never be scrutinised unless they raise suspicion (one hopes, reasonably). However, improvement in data-processing capabilities means this is not necessarily true. For example, artificial intelligence can analyse CCTV video footage without human input. And when face recognition is used to identify suspects, there are often multiple records of images of people who are a close match to the suspect. This can result in a high error rate, posing a risk that innocent people are accused of criminality and wrongdoing. But perhaps more worrying is the threat of repurposing—when information collected for one purpose is used for another. For example, concerns that insurance companies could access and use information from My Health Record led to the government amending legislation to prevent this. But, unlike My Health Record data, surveillance data collection is indiscriminate and has no “opt out”. Consider the two years’ worth of communications metadata currently stored for the entire nation, which is accessible to many agencies without a warrant. It’s not certain how this data might be reused in the future. It is unacceptable to assume the majority of Australians, who are not criminals and have the expectation to be kept safe by the state, are willing to succumb to heightened surveillance. However, our findings suggest, at least for now, Australians generally accept government surveillance, albeit relatively weakly. This means that if surveillance continues to increase, people may try to “hide” themselves. This might be by using virtual private networks (VPNs), privacy protection sufficient to prevent the government from collecting your online metadata. Anna Bunn is a senior lecturer at the Curtin Law School, Curtin University.